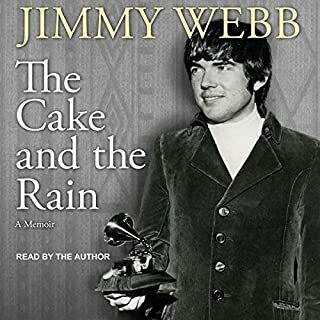 Jimmy Webb's words have been sung to his music by a rich and deep roster of pop artists, including Glen Campbell, Art Garfunkel, Frank Sinatra, Donna Summer, and Linda Ronstadt. He's the only artist ever to win Grammy Awards for music, lyrics, and orchestration, and his chart-topping career has, so far, lasted 50 years, most recently with a Kanye West rap hit and a new classical nocturne. Now Webb delivers a snapshot of his life from 1955 to 1970, from the proverbial humble beginnings into a moneyed and manic international world of beautiful women, drugs, cars, and planes. As Jimmy Webb said in interviews after publication, this was a painful story to write, so much so that he may never do a sequel. Read by Webb himself, it's genuine, heartfelt and true to the point of being raw exposure at times. Not only does Webb bring his large literary gifts to the work, but his honesty in introspection and personal discovery is stunning. 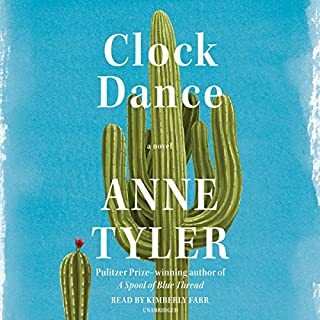 In many ways, this book reminds me of what made me want to write books, the suggestion by Henry Miller in the forward to Tropic of Cancer that true personal stories, full of experience and insight, were the seeds of great novels. This book, including its many surprising stories of other celebrities engaged in the late 60s and early 70s, will stick with me. What I missed reading about was what was probably most intimate, his love for his mother who died while Jimmy was a teen, and how she's stuck with him since, inspiring at least one great song. That might have gotten just a little too personal. 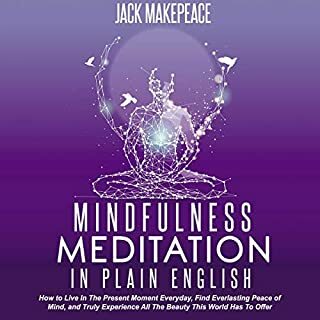 If you want to find peace of mind, live in the present, and attain greater awareness…but think it’s impossible to do so…Then you've come to the right place…From this audiobook, you’ll discover: why life is really beautiful… despite the hardships and struggles you may be going through right now, the true meaning of mindfulness… and why it’s key to living a happy and meaningful life, little-known breathing techniques used to achieve zen… and live in pure awareness, and much more. 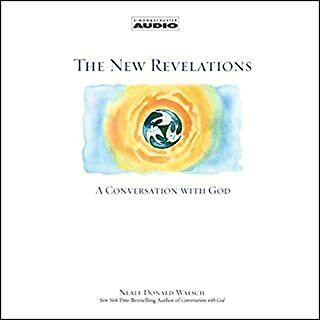 Although this audiobook was not without helpful ideas for anyone, it's geared more toward beginners, a worthy approach, but if you've been at it for a few years, you'll hear a lot of what you already know. Totally credible, but not advanced generally. 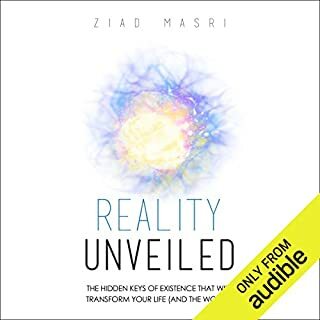 I was skeptical to begin with - Reality Unveiled... Really? It's a nonsense suggestion. Reality isn't veiled. It's extraordinarily complicated, and we don't know nearly enough about it to be satisfied. But veiled suggests something hidden, not simply undiscovered. And true to that, Masri suggests repeatedly scientific conspiracies and "corporate scientists" determined to hide the truth for what he suggests are obvious reasons without explaining what they are. That's unfortunate, because there's a fair amount of interesting reading here, especially when it comes to UFOs, but that does not make numerous uses of untrue claims acceptable. In creating a mystery that doesn't exist, for example, Masri claims that Neanderthals suddenly disappeared. In reality, it was a transition of thousands of years in which they were partially absorbed into modern human societies as they died out as many species have had when overwhelmed by a competing culture. They left their marks, however, breading with homo sapiens, leaving their genetic signature in modern humans around the world. Masri claims it's a big mystery. It isn't. That's just an example, and there are others. Together, they beg the question: if you've got a valuable case to make, why make up stuff to sell it? I quit this book without finishing because I couldn't take being conned anymore. The heroine, Wiila, reminds me of Ladder of Years, but Tyler now creates a different character for a different time. 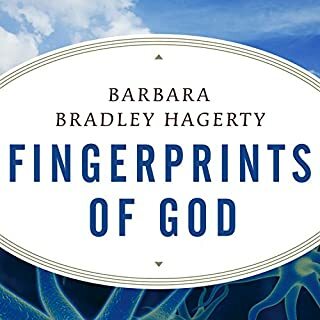 In Fingerprints of God, award-winning journalist Barbara Bradley Hagerty delves into the discoveries science is making about how faith and spirituality affect us physically and emotionally as it attempts to understand whether the ineffable place beyond this world can be rationally - even scientifically - explained. Hagerty interviews some of the world's top scientists to describe what their groundbreaking research reveals about our human spiritual experience. Good Overview of "Spiritual Biology"
Hagerty executes the nearly impossible task of reviewing a diverse array of topics with clarity and evenhandedness. Understand that this spans the current state of research and speculation about near death experiences to the influences of intention on remote subjects. It requires an exceptional mind as well as great discipline to pull this off, and Hagerty has both. I do have two serious reservations, however, that keep this rating at four stars. First, Hagerty falls into the common scientific illiteracy of declaring human minds as somehow "wired." This inadequate description reduces reality in tune with the worst weaknesses of mainstream science, which otherwise does not fare well here. My other objection is more serious. In her closing chapter, Hagerty struggles vainly, ignoring fact and history, to preserve Christianity. Christianity is a fine religion in many ways, but the writer's fluffy efforts to find a logical, scientific basis for retaining her beliefs is both personally slanted and objectively unconvincing. This book carefully, if somewhat redundantly, goes over the many contradictions and misstatements in the popular version of the Christian Bible. 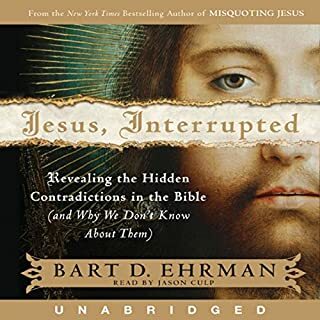 The author's point could have been made more concisely, but after an array of interesting presentations were put forward, Ehrman repeatedly exercised an apparent need to apologize and explain in response to the many attacks he's received from conservatives who find truth offensive. In the end, this undermines his arguments and the inevitable result of what he demonstrates, i.e., the Bible is both full of fiction as well as contaminated by politics and doctrines that cannot yield to fact. I was disappointed the author seemed reluctant to continue to the obvious conclusions. Greene is brilliantly insightful in his way of evenhandedly surveying the current field hand the differing points of view involved in a way that brings much of it right down to earth. Physics, whether astro- or quantum, isn't "out there," after all. It's here and now. It's what we are made of and live among. 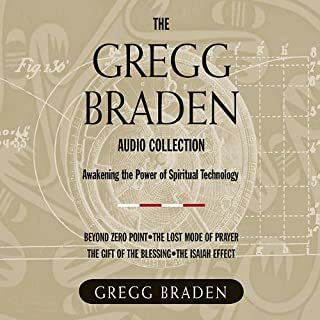 Compare this with the pseudoscientific types, like Gregg Bradden who try to convince the gullible with non-existent certainties geared toward quasi-religious pursuits of their own invention. 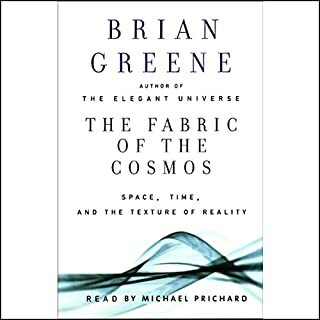 I'll take Brian Greene's fascinating reality, embedded with facts and generally accepted theories. They are more than amazing enough for me. The only revelation here was that the author is good at borrowing others ideas and pretending they are new and groundbreaking. Many instances of this. I can tell you it came as no surprise that he was uncovered as a plagiarist not long after I gave up on these empty revelations. Braden, while seeming heartfelt, is hopelessly careless with scientific fact. He repeatedly claims that "scientists now know" as he plunges into an area filled with conjecture. Clearly, he expects that the credulous will look no further and just buy in to his certainty. I'm puzzled at his being so disingenuous. Maybe he doubts the premises he is making and over-compensates by misleading with "facts." In the end, he simply discredits what would otherwise be a meaningful case. 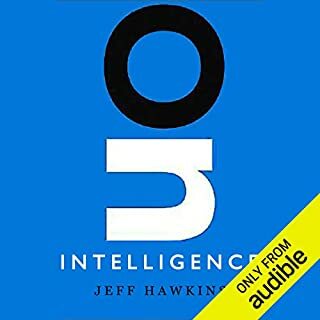 Although Hawkins is almost certainly wrong on certain point, such as his "blank slate" commitment concerning the brains with which we are born and almost annoyingly self-righteous when discussing "consciousness," about which he admits to not being expert but launchs energetically about anyway, the book was wonderfully ease to access. The clarity of explanation concerning what should have been an abstruse subject was a relief. I feel I know much more about the subject than I did before starting. It was well written and even better read by an excellent narrator. Thank you, Jeff!